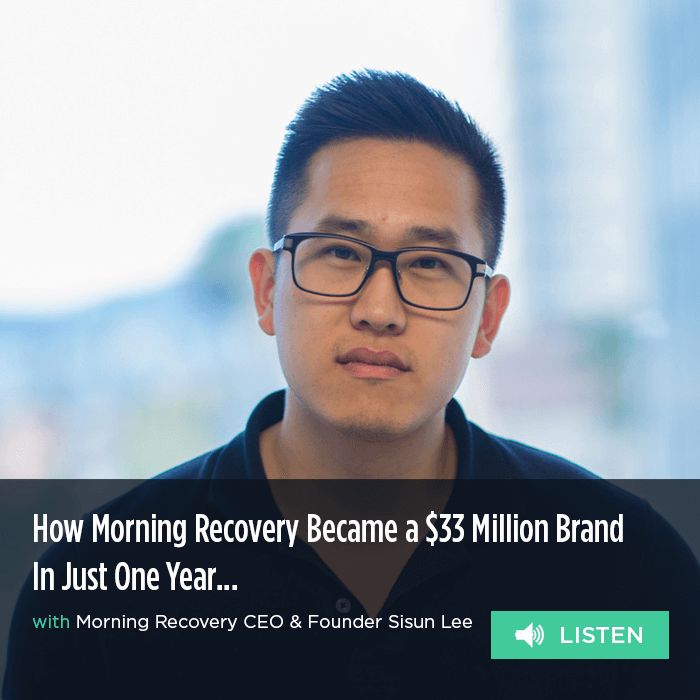 This week on the podcast we have Sisun Lee, the CEO and founder of Morning Recovery. Using functional ingredients that have been widely used by South Korean revelers for years, Morning Recovery takes the sting out of a night of heavy drinking so that you can do more the next day. The product launched on Indiegogo and immediately resonated with consumers, hitting 1000% of its crowdfunding goal and selling more than a million dollars in the first three months. The path to Morning Recovery was anything but straight for Sisun, who began his career as a software engineer at places like Tesla, Uber, and Facebook. Sisun tells us how he ended up the savior of countless partiers across the world, while interviewer (and SnackNation CEO) Sean Kelly teases out the lessons learned along the way. How Morning Recovery built a $33 Million brand in less than a year.